At last year’s Samsung Developer Conference, I spoke about connected thinking, and touched on some of the incredible experiences that become possible when we unify connections across devices. Our announcement of SmartThings marked a big step toward creating that seamlessly connected future. So much has happened since then. During the past year, game-changing technologies like 5G, which were once experimental, have become commercially available; breakthrough AI capabilities that once seemed impossible are now within reach; and SmartThings has evolved into the world’s most comprehensive open IoT platform. Which brings us to where we stand today—at the cusp of a new era of discovery and invention. A time in which intelligent services connect people to the tools they need and the experiences they desire; a time of incredible economic opportunity, built on new insights about how the world works and what customers want; and a time in which the ubiquity of an IoT platform like SmartThings propels us beyond the era of connected thinking and into the era of connected living. 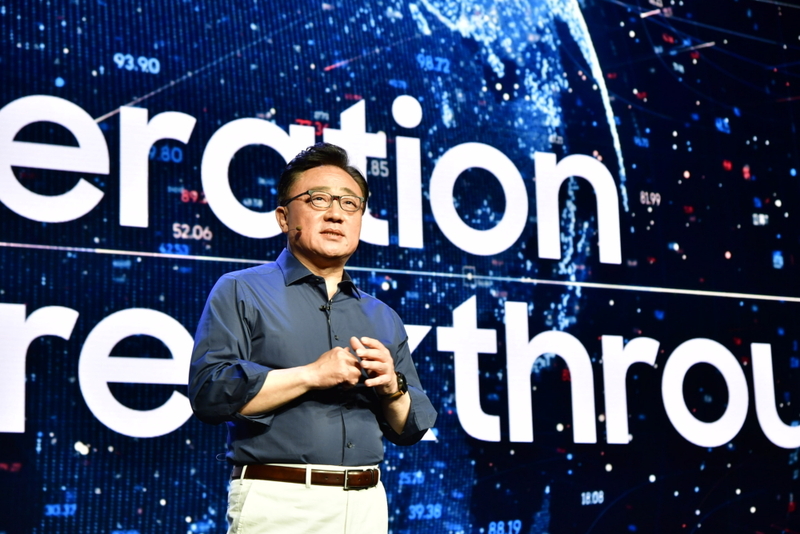 It is with great pride that I can say that Samsung has been at the forefront of many of the advances that have laid the foundation for this new era. In addition to expanding SmartThings, we’ve delivered AI innovations that are redefining connectivity and automation, we pioneered the development of 5G technologies, and we even launched the world’s first residential 5G service in the U.S.
Our partnerships—and of course, the support of the developer community—have been instrumental to getting us to this point, where the pieces are in place for intelligence that learns and adapts; 5G connectivity that makes smart cities, smart homes and autonomous vehicles a reality; and devices that are secure and powerful enough to transform how we interact with each other and the world around us. This year’s Samsung Developer Conference (SDC18) marks a gigantic step toward finally delivering these once far-off technologies. Or, as we at Samsung like to think of it, the next step toward transforming what’s next into what’s now. Here at SDC18, we’re unveiling new SmartThings development tools that will demonstrate the true value of connected living, as well as enhancements to our Bixby intelligence platform that will unlock the power of AI in more products and services, and new hardware and interface concepts that will unfold an exciting new future for mobile services. Each innovation adds strength to the world’s most powerful technology ecosystem, and will ultimately help us create a new world of experiences that flow with people as they manage their lives and move through their day. I truly believe that we’re standing at a turning point in our industry. A new generation of technological breakthroughs has opened the door for change at a pace unlike anything we’ve seen before, and created new opportunities on a scale that exceeds imagination. The potential to change people’s lives has never been greater, and the opportunities have never been more exciting. SDC18 is all about seizing these opportunities. With the help of partners and developers who share our commitment to innovation inspired by people, we’ll foster an ecosystem of open innovation that spans every aspect of people’s lives. I can’t wait to see how the technologies we’re showcasing right now at SDC18 will be used to discover what comes next.